Prince William has been throwing his royal weight behind endangered species. He’s pleading with the public to put an end to illegal trade. He has warned that his generation will be the first to regard elephants, rhinos and tigers as “historical creatures in the same category as the dodo”. 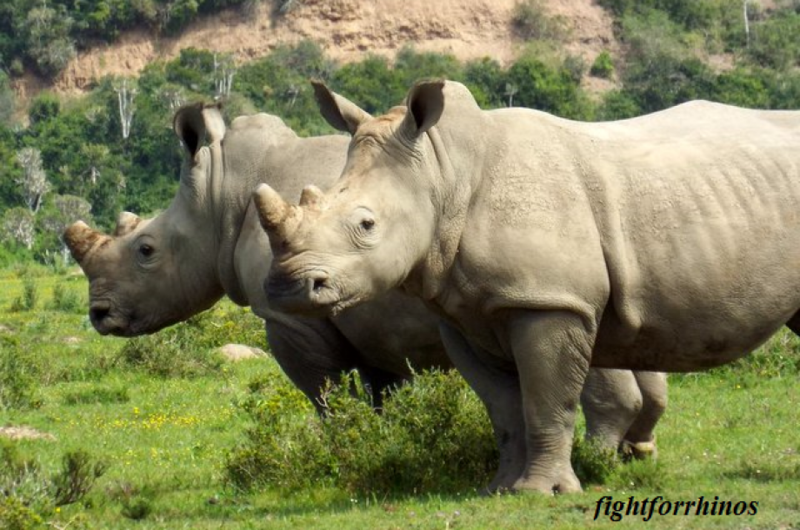 Taking part in The End WIldlife Crime Conference, which consisted of conservationists and politicians, he emphasized to the group the seriousness of international illegal trade. They discussed ways to tackle smuggling, and worked to generate ideas to be discussed at a future meeting this autumn. The autumn meeting will be attended by heads of state from across the world. Grant Miller, of the UK Border Force, said that in the past year more than 675 items had been seized, including a Rolls Royce with alligator skin upholstery, 1.6 tonnes of tortoise jelly, books bound in elephant hide, phials of bear bile used in traditional medicines, a bottle of whiskey containing a whole snake and numerous rhino horns concealed in china dolls and a live Geoffroy’s Cat. Prince WIlliam is the royal patron of the wildlife charity, The Tusk Trust. 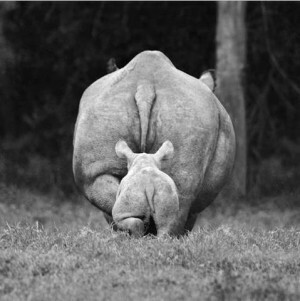 He , just as his father, seems invested in the future of the world’s wildlife. Will his influence be able to help save the rhinos, tigers and elephants to share with his son? 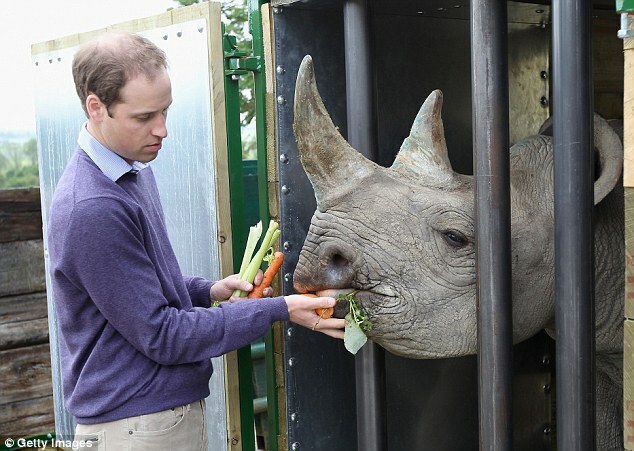 Prince William feeds a five-year-old black rhino called Zawadi during a visit to Port Lympne Wild Animal Park in Kentearlier He has called people involved in the illegal trade of rhino horn ‘extremely ignorant, selfish and utterly wrong.